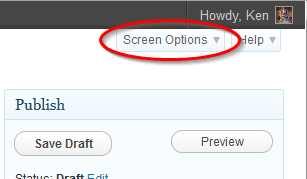 WordPress’s Screen Options feature is relatively unknown to a lot of people. I suppose it’s one of those things that you already know about if you need it, and once you find out about it, it’s fairly self-explanatory. It does not, however, function the way the rest of WordPress functions, so a brief tutorial is in order. 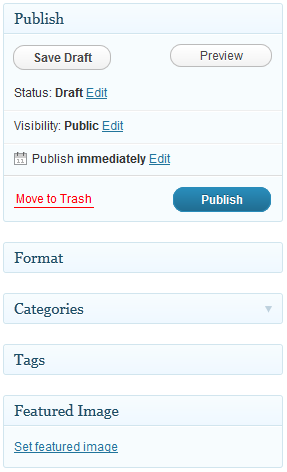 In a nutshell, Screen Options controls which panes appear on your post and page editing screens. You may see some different things here, depending on the theme you are using. 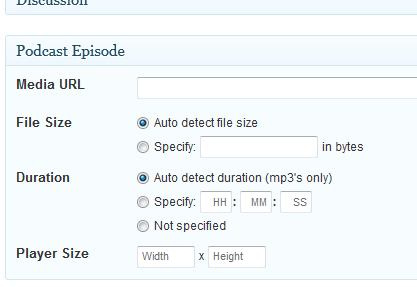 Plugins can also add their own bits here, as you can see from the “Podcast Episode” area. …but you knew that already. Like I said, it’s simple. If you have questions or comments, feel free to comment. Update as of 7 August 2012: I wrote a plugin that makes this area more noticeable. You can download it from here. I wish I had learned about “screen options” a lot earlier. It would have saved me a lot of time and spared me from unnecessary despair 😉 A plugin I used messed up the view in the post section in the dashboard. The solution that came so late was to simply turn of some columns on the screen options. Screen Options contains some important entries. Maybe it would be better if wp devs named it with something like “Additional Options” and made it bigger and easier to spot. I completely agree, Ron. I remember when I discovered what that was, I felt the same thing. So important, yet almost invisible. 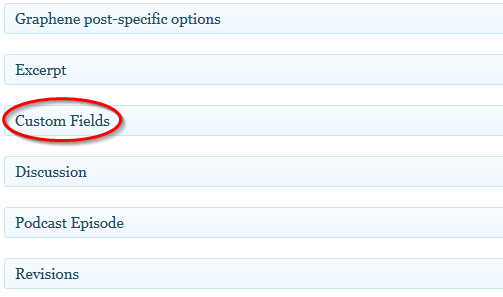 I added a feature request to the WordPress support forum here. If you’d like, you can head over there and second it. There was some pretty strong pushback from the folks at WordPress, so I just created a plugin that will make those areas more noticeable. Email if you are interested.